What Is Microlearning – and What Are Its Advantages? Education at all levels is experiencing change on a grand scale. Emerging technologies are giving a facelift to the ways teachers approach developing their students. New studies and techniques are disrupting long-established learning best practices. Tools powered by Artificial Intelligence are generating a shift in how educational associations service their eLearning customers. Learner-centricity is more important than ever before, and creating a compelling and impactful educational experience requires a well-thought-out strategy and the right content – with respect to both substance and format. But in the fast-paced professional world, Continuing Education, training, and employee development programs are at the mercy of dwindling hours in a day. Yet time set aside for formal training programs that occur on an annual or semi-annual basis is not enough for learners to keep pace with industry standards. So how do learners achieve their educational goals while working in an environment that is already very demanding of their time? The answer is microlearning. And this post sets out to explain exactly what microlearning is – and why it’s becoming a powerful force in the eLearning field. Microlearning can be described as educational content focused on a single learning objective that is delivered in a short modular format (often 5-10 minutes long). This content is typically designed as digital media and is meant to meet a specific learning outcome. While it can be used to offer formal education (or to accompany long-form training), microlearning is also increasingly being leveraged across a wide range of informal developmental activities that focus on performance improvement. Everywhere! Yes, microlearning has many use cases for learners of all ages – and while the concept of learning in short bursts has been around for a long time, its popularity is quickly growing in the worlds of Continuing Education, association onboarding and corporate training. With respect to CE, microlearning appeals to learners because of the convenience factor. Not every busy professional has the time to sit down for several hours and complete an entire online course and certification exam. However, if that course is primarily comprised of microlearning content modules, the student can read, watch, and interact with the material in smaller nuggets of time, enabling greater chances of retention without sacrificing their personal schedules. Moreover, as its emphasis on skills is particularly applicable to adult learners attempting to achieve clear objectives, we’re starting to see microlearning programs pop up all over the CME landscape. It’s no secret that passing medical board exams requires an incredible amount of proficiency and knowledge retention. So does medical practice. Microlearning enables physicians and residents to home in on exactly what they need to learn, while also saving time and increasing comprehension and recall. Because microlearning is characterized by a modular delivery approach to online education, professional development and training or onboarding programs are also ideal scenarios for deploying this learning technique. As each module presents a concise, highly focused “learning moment”, the module series works together to offer a complete learning experience to the company employee or association member. Therefore, large corporations and organizations—and even small to mid-sized businesses—are more frequently capitalizing on this eLearning trend. What’s more, microlearning is also being used to supplement or reinforce more conventional forms of training and education (lectures, conference breakout sessions, etc. ), sometimes functioning as a performance support tool. Additionally, microlearning content can serve as a catalyst for changes in behaviors that might surface during common business interactions – for example, teaching a salesperson to modify the way he or she engages with a customer. What Are the Benefits of Microlearning? 1. Microlearning fosters greater engagement. First and foremost, microlearning drives learner engagement. This is something all businesses, content creators and service providers strive to achieve when building or offering an eLearning program. And this increase in engagement can be seen from multiple perspectives. For starters, digital microlearning content is generally much more interactive than traditional educational materials – particularly in a mobile learning environment. Because it often requires the participant to physically engage with the program (through clicks, drag-and-drop functionality, answer selection, etc. ), there is little room for distraction. Similarly, bite-sized video content—which we are all so accustomed to viewing in our daily lives—ensnares multiple senses and parts of our brain simultaneously, priming our working memories much more thoroughly than standalone text or long presentations. Again, microlearning content only takes about five to ten minutes to consume. Consequently, students don’t experience the fatigue that often sets in when sitting through a longer course. Even if multiple modules are presented to a student in sequence, they are each highly focused on one learning objective, and the pace of the program is going to feel much more natural and connected as opposed to long and drawn out. 2. Microlearning improves knowledge retention. Simply put, learning in bite-sized chunks caters to our working memory’s capacity. While there is much debate about shrinking attention spans, most studies agree that the human brain isn’t exactly wired to maintain a single focus for several hours. To give our minds a better chance to absorb information, microlearning course modules address one learning objective at a time. And the most effective modules will present the content in a variety of ways and repeat the key messages as the content is consumed. Therefore, learners are easily able to understand what they’re learning and what is being asked of them. Research has also shown that if students are repeatedly required to answer questions at the end of each module, they retain 20 percent more information than they would remember had they completed a test after consuming an entire course’s worth of content. 3. Microlearning is relatively inexpensive and efficient. What’s great about this type of content is that you don’t have to reinvent the wheel in order to create it. In reality, you can repurpose much of the course collateral you already have in play. Many eLearning courses—whether they’re for internal training, professional development or Continuing Education—can take a long time, as well as a big budget, to produce. In contrast, concise microlearning assets can be extracted from current online manuals, webinars and presentations and then reworked into succinct video clips. Along the same lines, these microlearning modules can be quickly updated, edited or corrected should there be a need to do so over time. Conversely, if one piece of a comprehensive eLearning course suddenly becomes out-of-date, the entire presentation must be taken down and revised before it can go live again. In this sense, a modular educational structure is much more efficient. On top of that, the amount of time it takes to develop net new content is also much shorter when you are able to highlight one objective, as opposed to weaving together several complex concepts in a lengthier presentation. According to learning expert Ray Jimenez, microlearning courses can be created in 300% less time and at 50% less cost than traditional eLearning courses. Finally, microlearning courses are completed by learners much faster than traditional eLearning courses – which, in turn, increases employee productivity (and end user satisfaction!). In other words, people spend less time on training and more time on the task at hand. Because knowledge transference is more efficient using a microlearning model, the overall duration of training can be reduced, ultimately leading to a boost in ROI. 4. Microlearning and mobile technology go hand in hand. As smartphone technology has evolved, so has the way we consume content – and this rings true for educational content, as well. Mobile learning is no longer a buzzword; it’s an established practice. And according to LearnDash, it’s an effective one! In fact, 70 percent of learners feel more motivated when training on a mobile device (versus their computer). And smartphone learners actually complete course material 45% faster than those using a desktop. The great part about microlearning is that it’s not difficult to design for multi-device delivery. In other words, it will display in an easily digestible way on a laptop, mobile phone or tablet. This not only provides a higher degree of flexibility to eLearning course participants but also gives them round-the-clock access to whatever learning modules they need from any location with a Wi-Fi connection. 5. People enjoy learning in short bursts. Perhaps most importantly, people like microlearning. 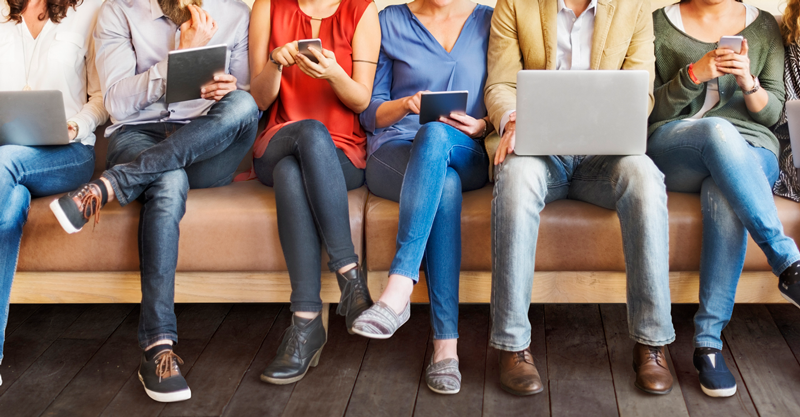 An overwhelming 94 percent of Millennial workers report that they prefer a customized, bite-sized approach to their learning. But it’s not just this generation that enjoys education in small segments. Everyone appreciates the feeling of getting a handle on something new – and being able to meet various learning objectives in short bursts provides immediate gratification. One reason why all types of professionals are starting to prefer microlearning is that it adheres to a just-in-time model. Microlearning modules are accessible to learners right when they need them as they go about their specific workflows. In some circumstances, microlearning may also offer users more autonomy during the learning process. For instance, if an employee needs to learn about a specific procedure or responsibility associated with a new role and he or she has access to on-demand content modules, that employee can speedily find the information as needed (rather than having to finish an entire course, regardless of its relevance to their job). This “pull-based learning” method supports an investment in one’s own learning experience, as opposed to having an authoritative body “push” content to the user even when it’s perceived to misalign with the goals or needs of that person’s position. While traditional forms of education are not “dead” by any means, microlearning presents a new way for course creators at all levels to meet the needs of the modern eLearner. Plus, it’s another helpful way to differentiate their program from a competitor that may not offer the engagement and convenience of a modular learning experience. Rethinking your own eLearning user workflow? Evaluating your current content delivery platform? Check out our flagship product – Beacon360 – and learn how you can offer a better experience to your learners, members or customers. Subscribe to Blog Email Updates!